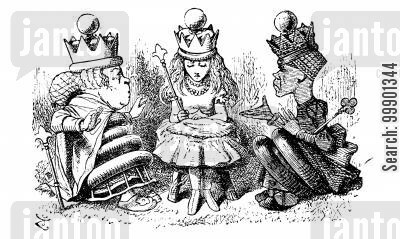 Alice Through the Looking Glass - Alice Meets Tweedledum and Tweedledee. 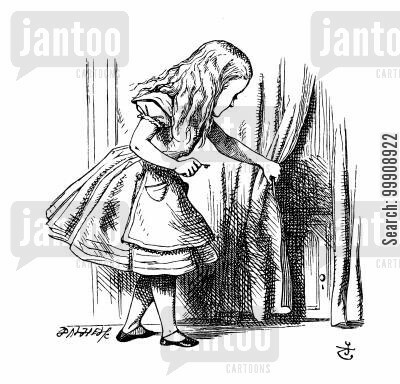 Alice in Wonderland: Alice finds a small door. 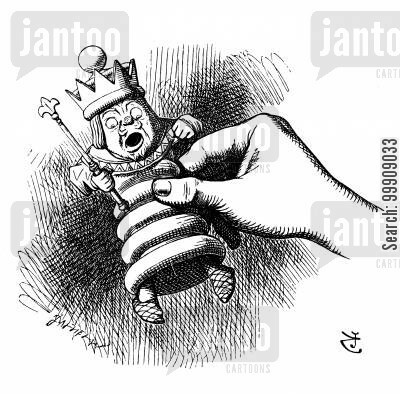 Alice Through The Looking Glass - Alice Lifts the King. 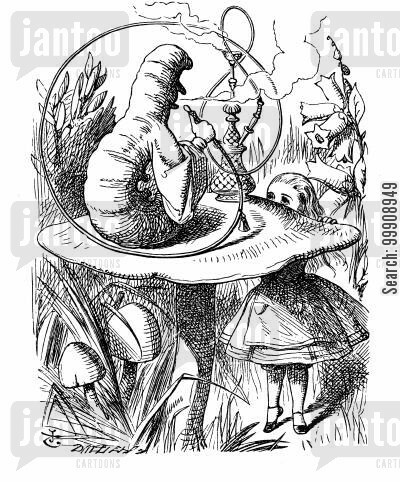 Alice in Wonderland - Advice from a Caterpillar. 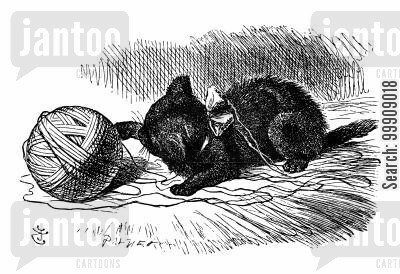 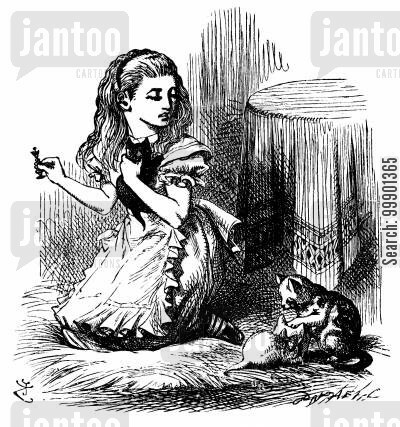 Alice Through the Looking Glass - The Black Kitten. 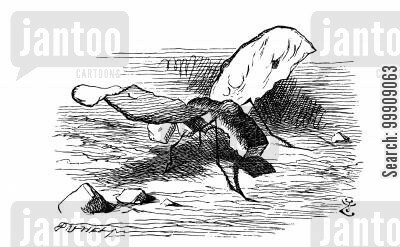 Alice Through the Looking Glass - The Gnat. 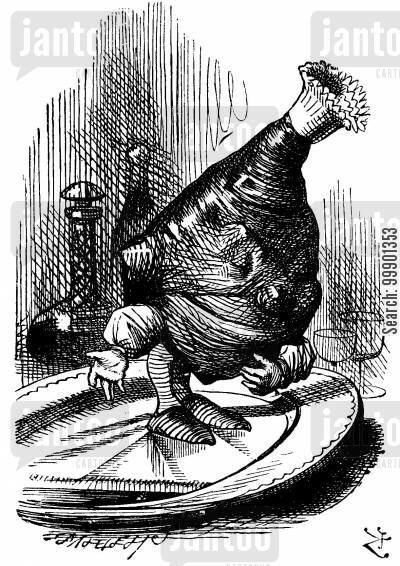 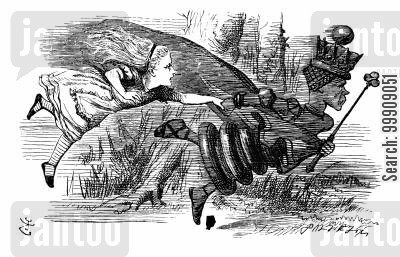 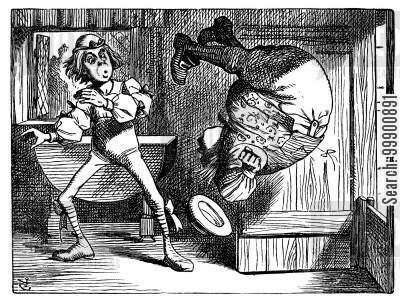 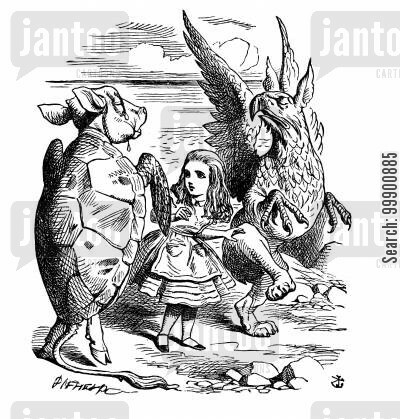 Alice in Wonderland - Alice Kicks Bill Out of the House. 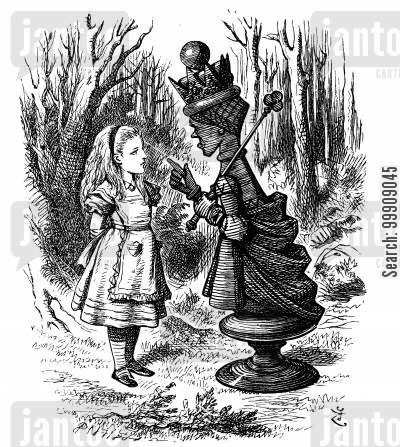 Alice Through the Looking Glass - Alice and the Red Queen. 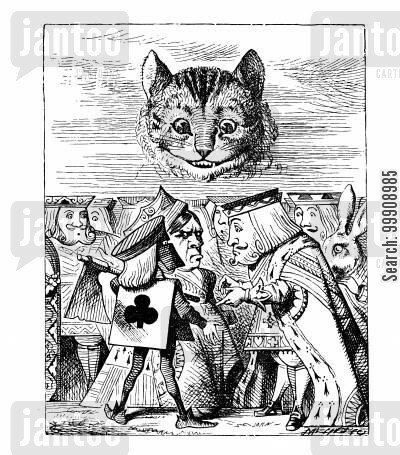 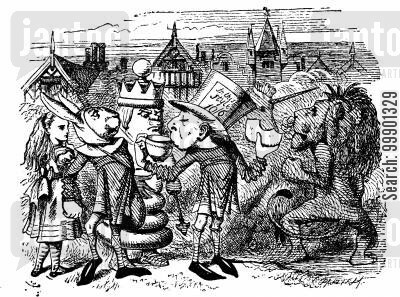 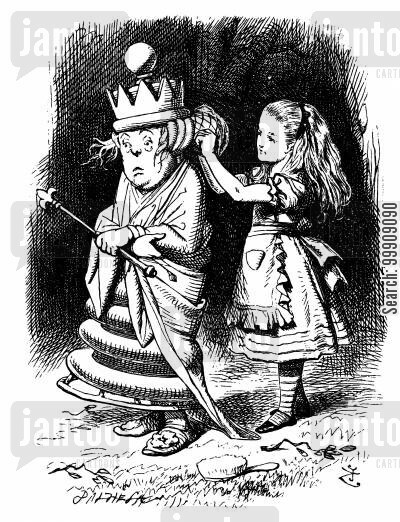 Alice in Wonderland - Trying to Behead the Cheshire Cat. 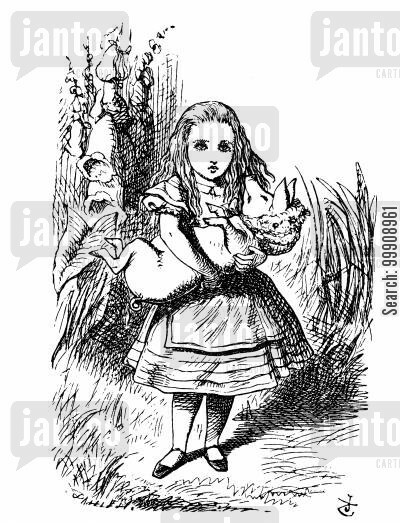 Alice in Wonderland - The Pig Baby. 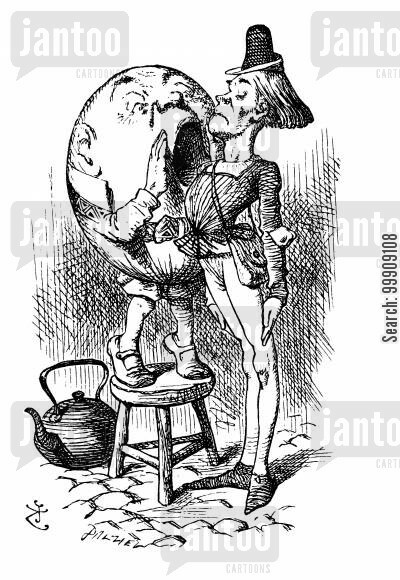 Through the Looking Glass - Humpty Dumpty and the Messenger. 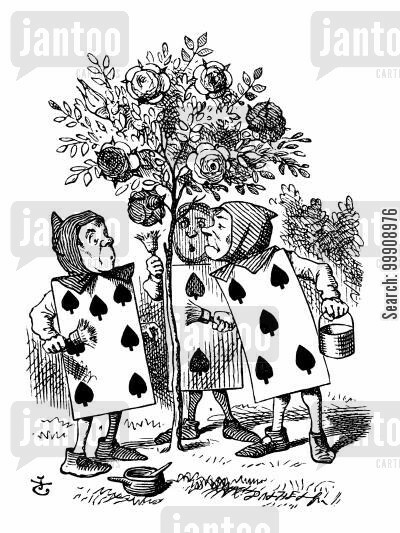 Alice in Wonderland - Painting the Rose Tree. 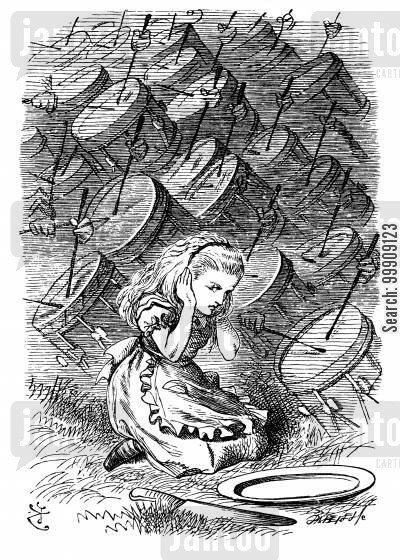 Through the Looking Glass - Alice and the Drums. 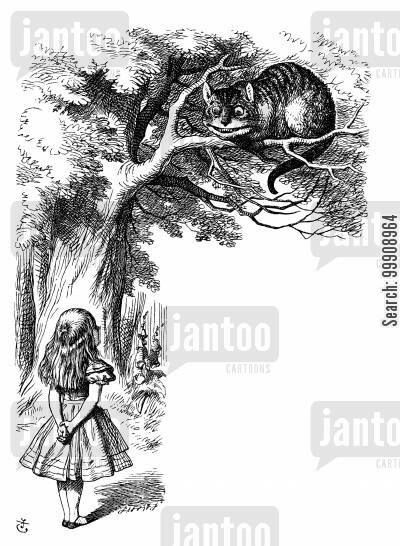 Alice in Wonderland - Alice Meets the Cheshire Cat. 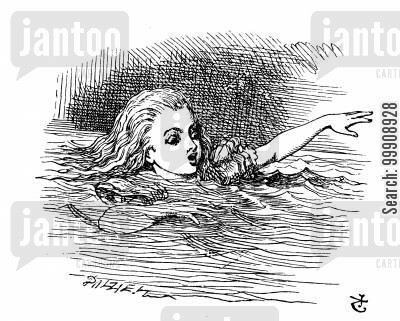 Alice in Wonderland: The Pool of Tears. 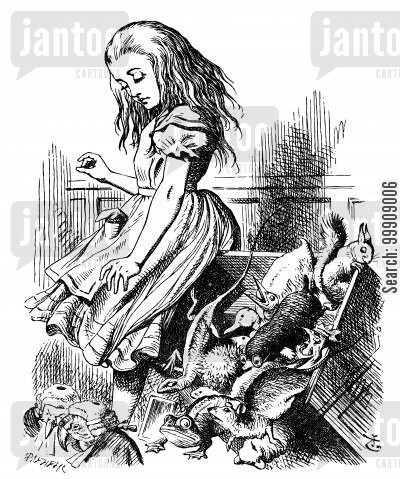 Alice in Wonderland: Alice in the Jury-Box. 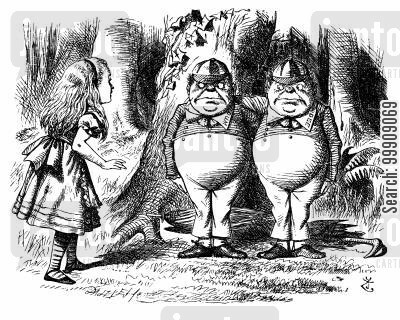 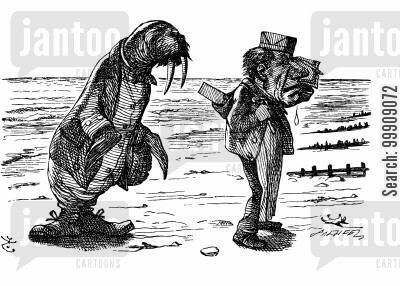 Alice Through the Looking Glass - The Walrus and Carpenter.